The success of The Oyster Smack Inn has been a tribute Trevor and Claire's hard work and passion for the industry. From the elegantly decorated rooms to a vibrant restaurant and freshly prepared dishes make the Oyster Smack a popular choice of accommodation and dining. 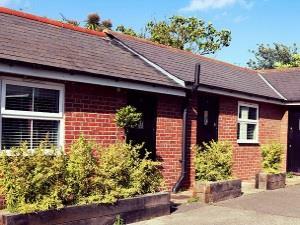 A short walk from the both the station and the river the Hotel is situated in a prime location to enjoy some of excellent sites and attraction that the beautiful Burnham-On-Crouch has to offer. If you wish to cancell we need notice via e-mail with in 48 hours of check in or there will be a full charge Children welcome from any age. From A127/A13/M25/A12. Take A130 to Rettendon Turnpike then follow signs to Burnham-on-Crouch (B1010). Turn right at T-jct. We are then 0.25 miles on the left-hand side. From Burnham-on-Crouch - 0.25 miles. Turn right out of station car park & we are 5 minutes'' walk down the High Street on left-hand side, just before zebra crossing.